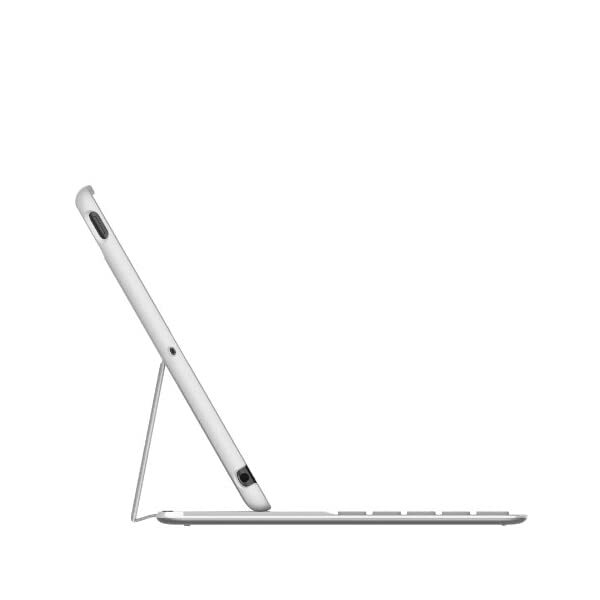 Three neodymium magnets keep the iPad Air securely in place and automatically turn the keyboard on and off, so that the keyboard is only on when you’re using it. 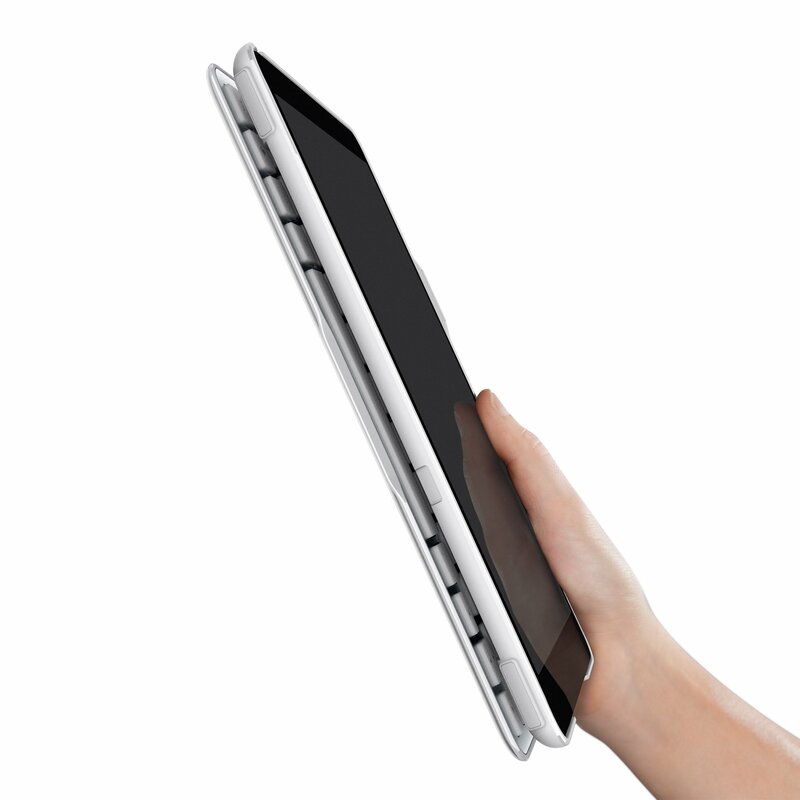 Turn your iPad Air into a laptop with the Belkin QODE Ultimate Keyboard Case. 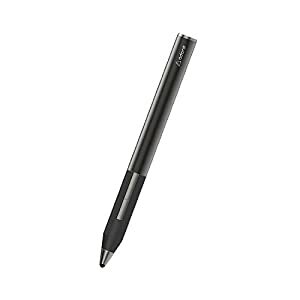 The well-spaced keys offer the movement and response of a laptop keyboard, making emails and word processing far easier and more comfortable than typing on a tablet’s touchscreen. Smart sensing technology automatically turns the keyboard on when you need to use it, and off when you don’t. 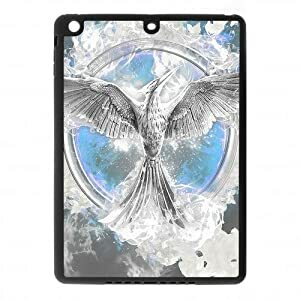 The case supports multiple viewing angles to help you find the most comfortable position for watching videos or reading blogs. 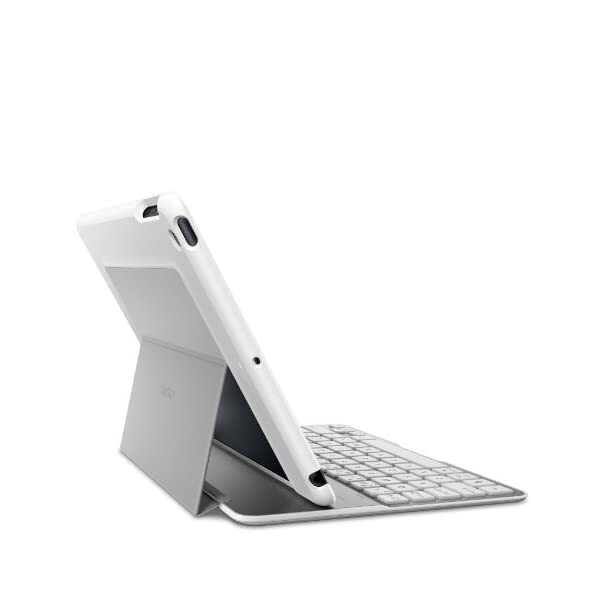 Made of aircraft grade aluminum, the lightweight keyboard acts as a cover offering exceptional protection for your iPad Air while the case prevents it from being scratched. Turns your iPad Air into a fully functioning laptop with well-spaced keys that let you type faster and more accurately (shown in black). 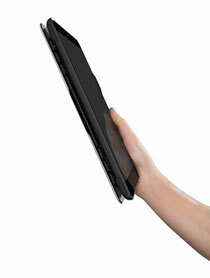 Magnets hold your iPad Air securely at different angles for comfortable use (shown in black). 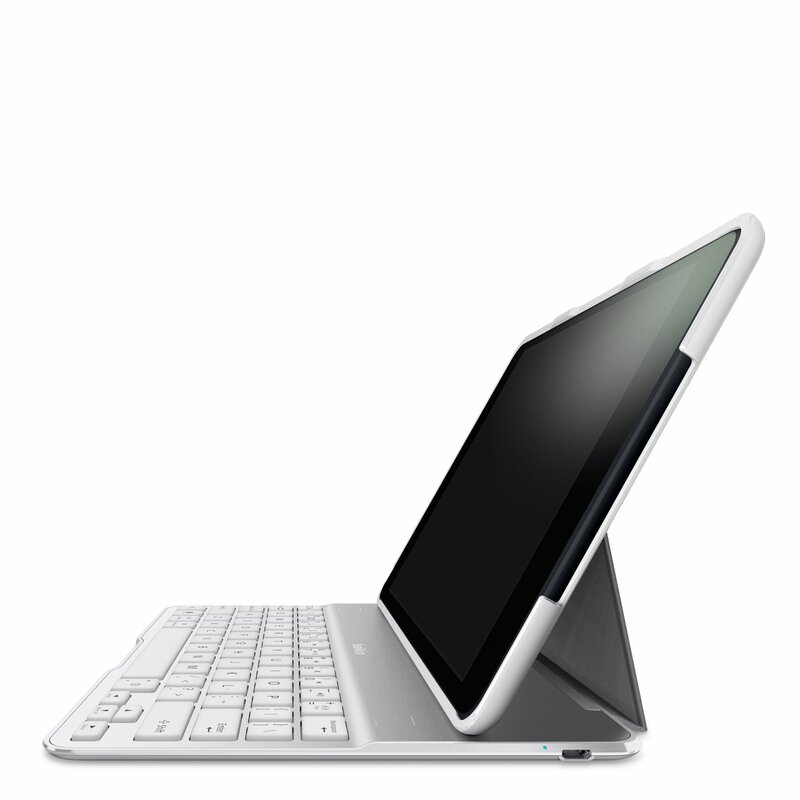 The Belkin QODE Ultimate Keyboard Case for iPad Air lets you type easily and comfortably with your tablet. This lightweight, sturdy keyboard case has well-spaced TruType keys that offer the movement and response of a laptop keyboard. You’ll type faster and more accurately than you do on your iPad Air’s touchscreen alone. 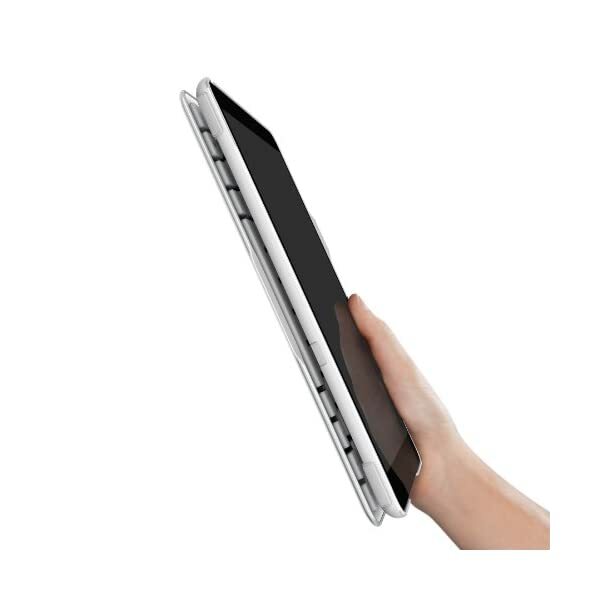 The keyboard folds away when you don’t need it and strong neodymium magnets hold your tablet securely at a variety of comfortable angles, so you can comfortably watch videos or browse the internet. 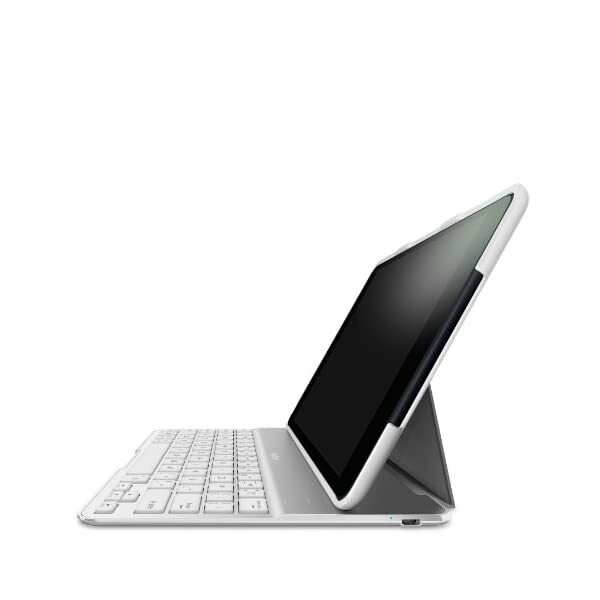 The keyboard’s base is made of aircraft-grade aluminum alloy. 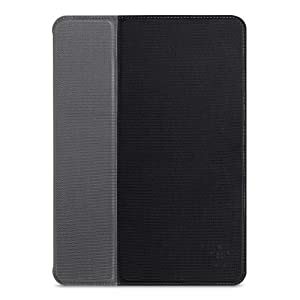 It’s exceptionally lightweight but strong enough to provide hard-shell protection for your iPad Air’s screen when the case is closed. 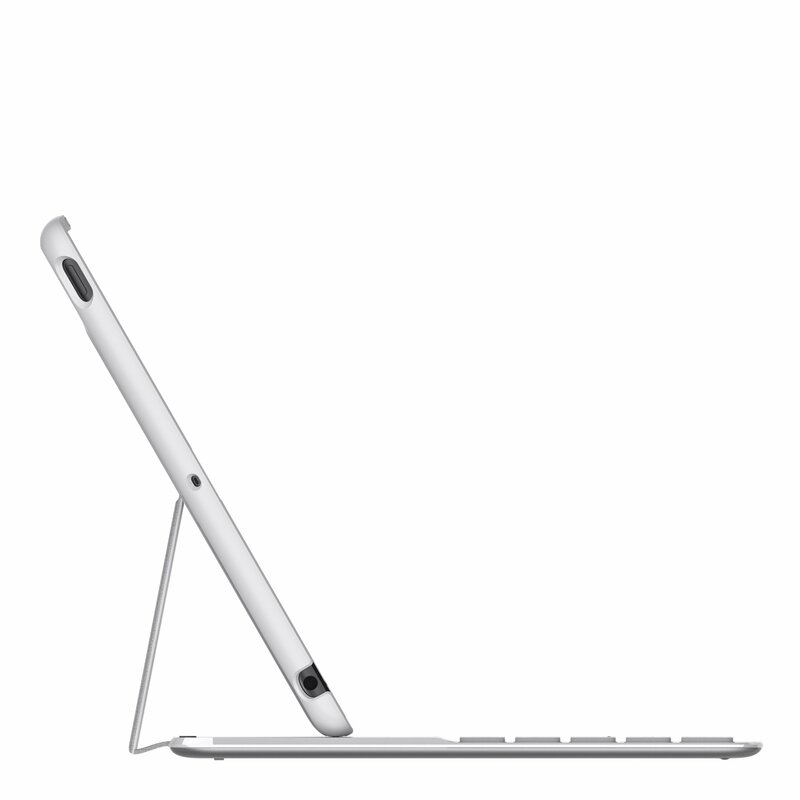 Its base is thinner than the iPad Air, so it keeps your tablet portable and easy to slip into a bag or purse. 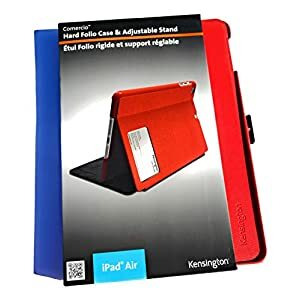 Additionally, the case’s high-performance material protects the back of your iPad Air and doubles as a stand, adding function without compromising the case’s ultra-thin profile. This keyboard uses smart sensing technology that automatically turns on your keyboard when you need it, and powers it down when you don’t. 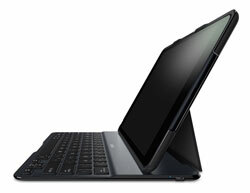 The keyboard’s battery provides 264 hours of active use and 4,300 hours of standby time. 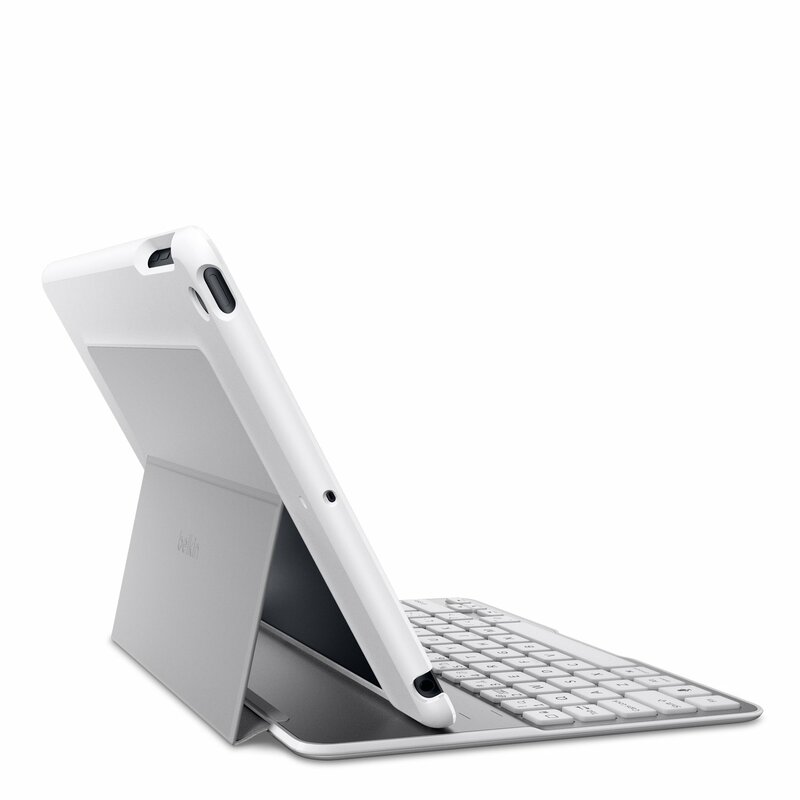 The Belkin QODE Ultimate Keyboard Case is compatible with the iPad Air. Keyboard case, USB-to-micro-USB charging cable, and quick installation guide. 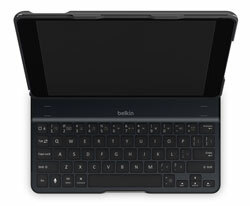 Keyboard folds out of the way for comfortable reading and viewing (shown in black).